The Denver Center Theatre Company (DCTC) presents FENCES by August Wilson, playing The Space Theatre September 14 – October 14, 2012. Tickets may be purchased now, by calling 303.893.4100 or visitingwww.denvercenter.org. Troy Maxson, a star baseball player whose career was blunted by the racism prevalent in pre-Jackie Robinson America, now supports his family as a sanitation worker. Feeling his world rapidly changing, Troy builds a fence to protect what is familiar and hold off what threatens. Both muscular and lyrical, this August Wilson blockbuster, winner of the Pulitzer Prize and two Tony Awards, shows what can happen when a strong man is robbed of his dreams. The cast of FENCES includes several debuting actors: David Alan Anderson as Troy Maxson, Marcus Naylor as Jim Bono, James T. Alfred as Lyons, Jerome Preston Bates as Gabriel and Calvin Dutton as Cory. Also debuting and alternating the role of Raynell are Nadja-Monet Brown and Emmi Grace Sullivan. DCTC favoriteKim Staunton returns in the role of Rose. Debuting at DCTC is Lou Bellamy who will direct FENCES. Bellamy is founder and Artistic Director of Penumbra Theatre located in Minnesota, which has produced 35 world premieres, including August Wilson’s first professional production and more of Wilson’s plays than any theater in the world. Set design is by Vicki Smith (25 seasons/Heartbreak House, The Adventures of Tom Sawyer, Dracula) while costume design is by David Kay Mickelsen (54 productions/18 consecutive seasons/13 premieres, The Adventures of Tom Sawyer, The Liar, Ruined). Lighting design is by Don Darnutzer (Heartbreak House, Dracula, Mariela in the Desert) and sound design is by Jason Ducat (Heartbreak House, World Premiere Two Things You Don’t Talk About At Dinner, The Adventures of Tom Sawyer). Fight direction is by Gregory Hoffman (The Taming of the Shrew) while dialect and vocal coaching is by Kathryn G. Maes, Ph. D (Heartbreak House, World Premiere Great Wall Story, The Taming of the Shrew). I remember seeing “King Hedley II,” at the Denver Theatre Company as one of the most powerful performances ever seen in Denver. The austere emotions, strength of the actors, and caustic dialogue left the audience feeling they had lived, eaten and slept with this imposing figure. Single tickets for FENCES, on sale now, start at $35 (non-SCFD) and also are available for $10 (SCFD 10 for $10 program) and are on sale now. To purchase, call Denver Center Ticket Services at 303.893.4100. For groups of 10 or more, please call 303.446.4829. TTY (for Deaf and hard-of-hearing patrons): 303.893.9582. Tickets also may be purchased at the Denver Center Ticket Office, located in the Helen Bonfils Theatre Complex lobby. Buy and print online at www.denvercenter.org. 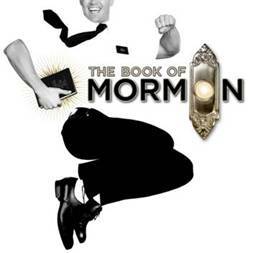 Student rush $10 tickets are available one hour prior to curtain with a valid student ID subject to availability. Senior and military rush tickets are available one hour prior to curtain, subject to availability. No children under six will be admitted to any theatre. Artist, Jerry De La Cruz, corrected me on the phone. He has been creating art with ‘found’ objects for years. There’s nothing new about the upcycled, repurposed art seen in festivals and galleries around Denver lately. It is not a newly recognized phenomena in art, he let me know. What De La Cruz is creating can be defined as ‘reliquaries‘. Definition: a shrine or container for sacred relics. 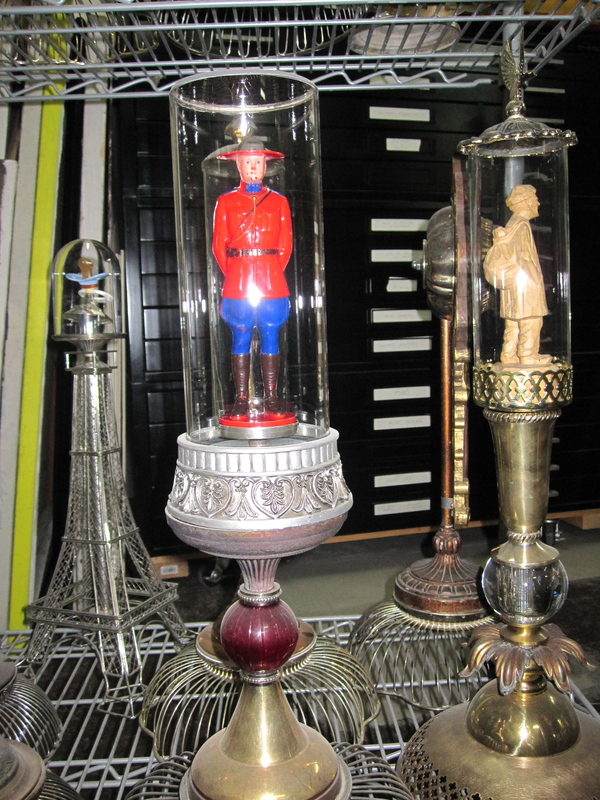 In his studio is a bizarre mix of antique lamps which he grinningly unshackles to reassemble into a new work of art. There are hundreds of shelves of objects from garage sales, dumpsters, vintage stores and Goodwills. Your eyes move from knick-knacks, lamps, toys, vases, wire bowls, balls, dolls, religious icons creating a sort of fearful, intrusive, creepy peek into a stranger’s eccentric back room of an old curiosity shop. Amidst his fascinating studio with glass eyes and strings and objects staring at me, Jerry and I sat on the old band stand in his one hundred year old studio/home just west of the Santa Fe Art District while I interviewed him for the first Denver Art Project. I’m always inspired by high craftsmanship in all areas of creativity. As an example, the craftsmanship found in churches. It was the art churches paid for like sculpture, altars, windows. Human beings made this art. When I visit churches in Europe it’s like an archeological discovery of things created by humans. Kill your heroes, that’s what I say. Really. As you age, your heroes don’t last long. If I had to pick I’d say Toulous Lautrec, Salvador Dali, Diane Arbus, Francis Bacon, Lucien Freud, and Gerhardt Richter. These are artists who have fluctuated a lot and traveled in different directions with their work, especially Richter. Like myself, they’re all over the place. It doesn’t exist. O.K., happiness to me is living in a world where two or three things work: health, enjoying what you’re doing, and no pitfalls, like, nothing gets in the way. You may not have a plan every day but you get started, get through it, go to bed, start over the next day. It’s how one travels through life, quality over quantity. As a child I did experience scares of that magnitude especially with horror movies or nightmares but as an adult, nothing really. Even after I was drafted into the army in 1968, I was not overwhelmed with fear that I might end up in a war zone. I have fears as most humans do but I would not say that any one of them scares the hell out of me. I would imagine that this question would likely bring up the issue of death or dying but they do not hold that much power over me though I must admit that I found a certain amount of comfort in a quote by Woody Allen, “ I don’t mind dying, I just don’t want to be there when it happens”. Things that aren’t necessarily meant to be funny, like humor found in conversations with friends, puns within the conversation as an example, and not so much that coming from comedy routines or professional comedians. Edouard Manet is one of my favorites. I saw one of his paintings at the Musee d’Orsay and it stopped me in my tracks. The execution left me in awe. 8. If you could change one thing about you, it would be? I’d obtain more literary experiences, read more classics and biographies. Like if the house was burning? Besides Diane it would be my painting titled, “Then I found myself…in the bushes searching for that hunk of lead.” That is my story on canvas. One panel depicts me at 23 years old, the other at ten years old. 10. What comes to mind when you think of Denver? My visual image of Denver is a very attractive, clean atmosphere with a lot of interesting elements. It’s a city but a city that still has great neighborhoods. Since you’re about to make Miami your winter home, what comes to mind when you think of Miami? It is culturally diverse and the magnitude of its diversity comes to mind. Scottsdale Center for the Performing Arts is seeking artists working in all media to exhibit at the 43rd annual Scottsdale Arts Festival, March 8–10, 2013. 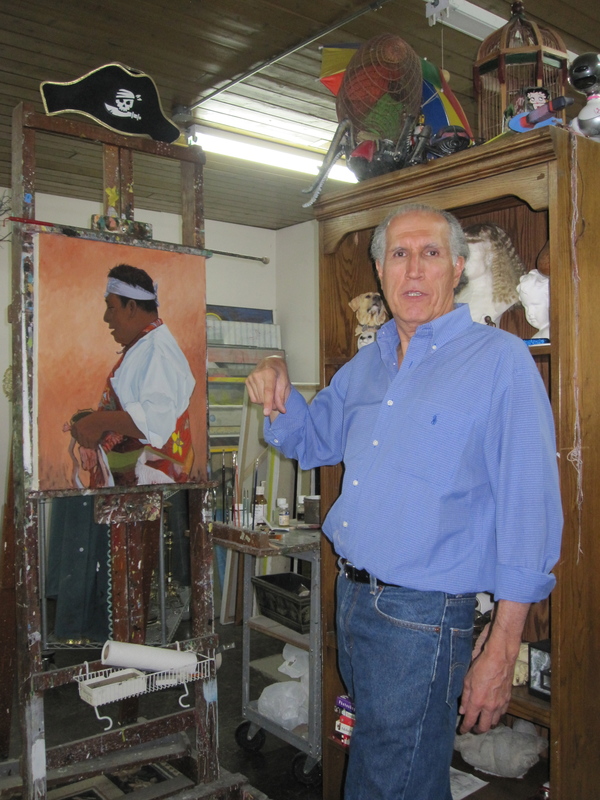 A jury of arts professionals will select the artists to participate in the Festival and will award prizes in numerous categories, including painting, sculpture, glass, ceramics, jewelry, photography, printmaking, textiles, woodworking and more. 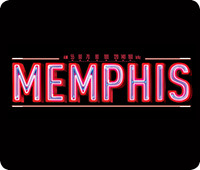 Applications must be submitted online at www.zapplication.org before Oct. 14, 2012. Long recognized for its high-quality arts and crafts and beautiful setting, the Scottsdale Arts Festival has been named one of the country’s top 10 arts festivals by the readers of AmericanStyle Magazine and “Best Arts Festival” by Phoenix New Times. Founded in 1971, the event showcases the creativity of nearly 200 jury-selected artists from throughout North America. Works of art are available for purchase directly from the artists and through the Festival’s online art auction. The Scottsdale Arts Festival attracts tens of thousands of Scottsdale-area residents and visitors, who also enjoy delicious local cuisine from the celebrated food trucks of the Phoenix Street Food Coalition, wine tastings, live music and entertainment from Arizona’s top bands and performers, creative activities for children and families at Imagine Nation, and much more. The Scottsdale Arts Festival is produced by Scottsdale Center for the Performing Arts, a division of the nonprofit Scottsdale Cultural Council. Proceeds benefit the Center’s arts and youth-education programs. For additional information about the Scottsdale Arts Festival visit www.ScottsdaleArtsFestival.org. Get your tickets now, they are selling fast. Tony Award for best Musical, 2010. 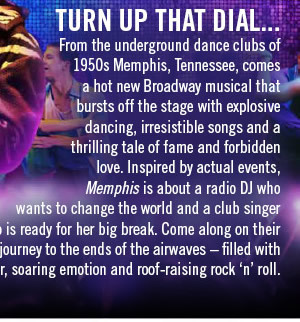 Box Office open Monday – Saturday, 10 a.m. – 6 p.m.
Memphis is about a white radio DJ who wants to change the world and a black club singer who is ready for her big break. Their journey takes you to the ends of the airwaves — filled with laughter, soaring emotion and roof-raising rock ’n’ roll. For the first time ever, Cherry Creek North is kicking off Fashion Week in a big way! 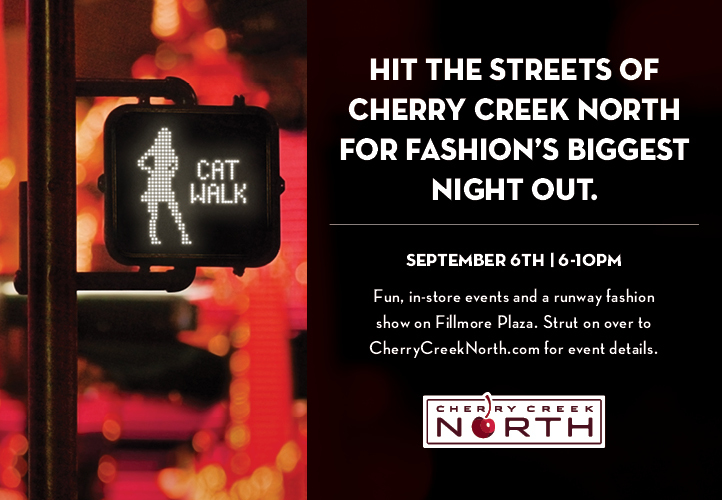 On the evening of September 6th, style lovers will whet their appetites of the latest fall fashions at in-store events throughout Cherry Creek North, followed by a runway fashion show on Fillmore Plaza featuring Cherry Creek North boutiques. Cherry Creek North stores are pulling out all the stops in preparation for this big night in fashion by planning fabulous in-store events from 6 – 8pm. Guests can expect everything from trunk shows to mini fashion shows to complimentary services, giveaways, and more. Nearly 40 stores are participating and event details can be found at CherryCreekNorth.com. Immediately following the in-store events, there will be a spectacular runway fashion show at 9pm on Fillmore Plaza. The show will feature 11 boutiques, which will give the audience a taste of the diverse collection of fashion offerings available in Cherry Creek North. The boutiques featured in this year’s show will be: Alicia the Boutique, Eccentricity, Felice Bridal, Garbarini, Lawrence Covell, Mariel, SOL… Store of Lingerie, and Marks Lloyd Furs. Jewelry is being provided by Oster Jewelers, and there will also be a surprise children’s component provided by Little Me’s and Little Feet. Each of these stores will walk the 88 foot runway showcasing their fall and winter looks that can be found in stores this September! This event benefits Goodwill Industries of Denver’s programs that outfit individuals for success. As you’re walking through Cherry Creek North between now and September 6th, you may notice some life-size blue, “Success Silhouettes” that represent the tremendous stories of six individuals that have been greatly impacted by the phenomenal work that Goodwill has done in our community. We are proud to partner with them on this event and help drive awareness of their programs. Our official partners are: 303 Magazine, FirstBank, Little Black Dress Vodka, Little Black Dress Wine, Great Divide, Piatti, and Cuppy Cakes of Cherry Creek. Guest should be sure to strut their stuff on the 303 Magazine red carpet for a photo opportunity on Fillmore Plaza from 6pm – 9pm. The entire event is free and open to anyone; however there will be a limited number of reserved VIP tickets for sale for the fashion show. VIP tickets include (depending on level purchased): Reserved runway seat, access to the VIP party before the show (complimentary cocktails and hors d’oeuvres), free parking, and a goodie bag. Additional details for Cherry Creek North’s celebration of fashion are being finalized and will be announced as September 6th approaches! Over 50,000 sq ft – This show is HUGE! Furniture – art – lighting – glass – pottery – ceramics – housewares – accessories – art deco – retro – danish modern – fab 50s – mod 60s – plastic 70s – tiki – kitsch – chrome – bakelite – teak – Eames – panton – Nelson – Knoll – Wegner – Herman Miller – Russel Wright – vintage designer clothing – textiles – handbags – jewelry – electronics – radios – stereos – barware – and so much more!!! Watch our great 2-minute promo video shot at the 2010 show by ZeroSun Productions! Nationally Known Guests – and More! -Attending all 3 days with a gallery of prints and originals for sale! – Presenting Slide Shows on Friday and Sunday! Susan Saarinen, Celia Bertoia and Carla (Eames) Hartman – Special Daughters of Design Event! Charles Phoenix, the King of Retro! Slide Show, Pageant Hose and more! All three Days! Live Music by The Cruisin’ Cats, The Sonic Archers and The Modniks! Note Changes! Longer Preview Party on Friday, and Later Hours on Sunday! New – All Friday tickets include Weekend Pass! Includes Weekend Pass — live music — hula girls — SHAG Slide Show — cash bar — Miss Modernism Pageant! Get in two hours early – at 4pm! – Free Drinks! – Guest Meet & Greet Friday! FULL WEEKEND PASS! – Reserved Seating at events all weekend! Be the FIRST to shop the show! Boyd Rice on Religious Architecture in the Space Age, Fashion Show and more! Includes CAR SHOW :: Hosted by the Sunday Afternoon Car Klub! SHAG Slideshow, Charles Phoenix Retro Slide Show and more! Don’t miss the world-famous Miss Modernism Pageant! Friday night at 7pm! Pictured here: Gracie Stean, Miss Modernism 2011-2012; and Jaime Askvig, Miss Modernism 2010-2011. See our Miss Modernism page for details on how to enter – and win a $500 shopping spree at the show – AND – a free trip to Palm Springs Modernism week! They’ll compare chairs and childhoods in this special presentation! Don’t dare miss it! More options available: See the Exhibitor’s page for details and to register. Exit I-70 at Brighton Blvd, follow signs to Coliseum, pass Coliseum, go under I-70 and you’re THERE. Option B: Broadway headed north becomes Brighton Blvd., follow it to the Coliseum, turn at the Coliseum, go under I-70 and you’re THERE. GET ON OUR EMAIL LIST!! Email dana.cain@att.net and put MODERNISM LIST in the headline! Let me know if you want onto the regular list or the vendor list! You’ll get the scoop on next year’s show, too! Thanks to Bill Lujan of mod-pod, Ken Hamel and Jeff Ball for some of the great photos on the site! On August 11th, 2012 MOA will open The Faux Show, an exhibition that simultaneously pays tribute to and satirizes contemporary artists and their often controversial work. The Faux Show is a playful pastiche of some of the most iconic contemporary artists of our time. Less political and ironic than its Postmodern predecessors, The Faux Show is designed to create an environment in which viewers can explore the nuances of contemporary artwork and draw their own conclusions.The Faux Show will feature custom art pieces created by MOA Design and Build interns under the guidance of master artist and puppeteer, Cory Gilstrap. Additional artists from the Denver area will contribute custom pieces for the exhibition as well. The opening reception of The Faux Show will be August 11th from 5 pm – 9 pm and is free and open to the public. The opening event will include a live DJ, drinks, and light fare in the MOA sculpture garden, and will be followed by a silent auction and theatrical performance featuring psychedelic rock and aerial arts by Denver’s own Lunar Fire. 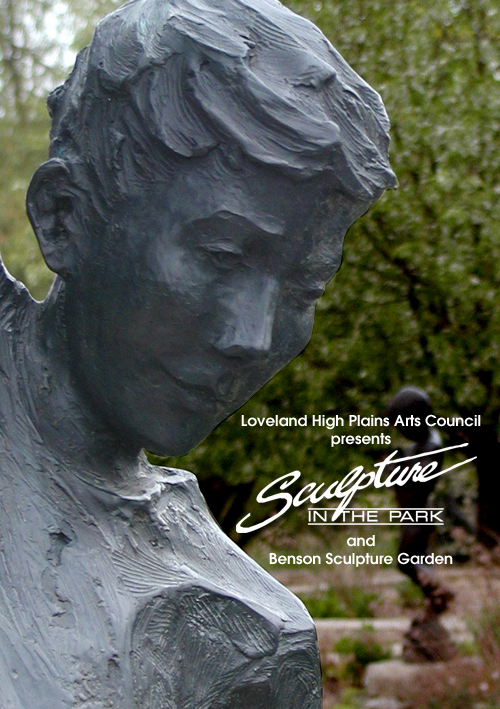 LOVELAND SCULPTURE INVITATIONAL , AUGUST 10-11-12, 2012. Top: Photo of Jane DeDecker‘s sculpture at Benson Sculpture Park. Visit Sculpture in the Park at Benson Sculpture Park, Saturday, Sunday, August 11 – 12, 2012. Bottom: Loveland Sculpture Invitational, Featured Artist, Victor Issa. Loveland Sculpture Invitational, is billed as the largest outdoor sculpture show in America. I always know the approximate date when the two Loveland shows will be held, either on, or, days from my birthday. For many years I spent my birthday weekend manning a booth in the vendor’s tent. It was the most fun, most physically draining, delightful, insightful and best art networking event of the year. 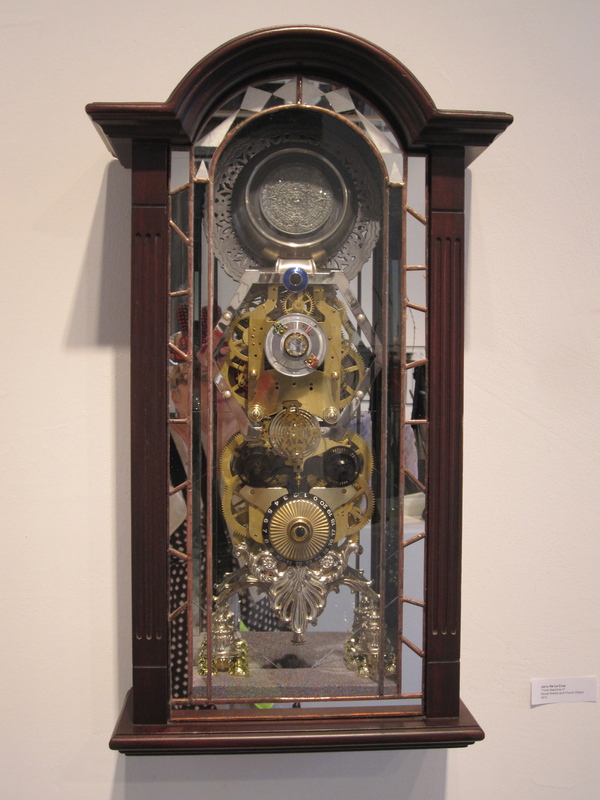 The history of the two shows goes back almost 30 years, 29 to be exact, when a couple of handfuls of artists such as George Lundeen, Hollis Williford, Jane DeDecker, Kent Ullberg, George Walbye, Garland Weeks, Jay Eighmy, Glenna Goodacre, Danny Ostermiller set up tents in what is today’s well-known Loveland tourist attraction Benson Sculpture Park on Taft Avenue just north of Loveland High School. Today the show has morphed into a national event and spawned a co-event, the Loveland Sculpture Invitational across the street. The two shows create what is truly one of the largest sculpture events in the country. As you can imagine the shows did not swell into its legendary status without crushed egos, bitter competition (fyi: reason for the second show, The Invitational as it is called, was started by sculptors who were unceremoniously ejected from the SIP show), which in the end only created a supreme opportunity for Loveland to increase its art/sculpture reputation and revenues each second week in August. Scanning the names of the artists in both shows proves to me the shows are still growing with visiting artists from across the country and around the world. Of course, there was and always be the question asked, which side is better? Interestingly enough, I noticed some of the original sculptors from SIP are solid citizens of the South (south side of the street) due to let’s say, economics. As it is, each show has separate guidelines for percentages paid on each sale, after show sales, booth costs, set-up and tear-down routines, admission costs, and number of guest tickets for free admission, etc. Artists come to Loveland to display and sell their work. They want the biggest bang for their buck; the status of which side of the street is better is ineffectual. It’s an art filled day (or weekend for serious art collectors) when visiting Loveland on this weekend. Getting through both sides is grueling because it’s usually hot as hell; it is August after all. For the true art collector or rep from a public entity I recommend going to the pre-events such as opening night, the cocktail parties and preview parties on both sides (click on both websites below for artists, schedules, ticket costs and party events). By getting a leg up on the thousands of sculptures big and small you’ll make eye contact with the art and artist who speaks to you. You can comfortably observe the work that will fit your pocketbook and your buying mission for fine art sculpture for public or private placement. No one’s complaining anymore. Both shows sell in the millions, yet the two shows have been at each other’s throats for, let’s see, 20 years? Oh, what a hubbub the new show caused that day twenty years ago when a few disgruntled artists met and formed the Loveland Sculpture Invitational… the growing pains endured, the hours of hard work, and millions of dollars worth of sculpture sold from both sides in 29 years. It’s a destination for art lovers in August. For directions simply head north up I-25 and take the second exit into Loveland, Highway 34, at the Outlet Mall. Keep heading West on (34) Eisenhower Blvd. until you see signs directing cars north to Loveland High School, Benson Park, and there’s free parking and shuttles available. Getting there is no problem, getting through hundreds of sculpture on display is another matter altogether.